Congratulations to all of the pupils who had 100% attendance for the whole of Autumn Term 2018! All of the staff are very proud of you. Well done. 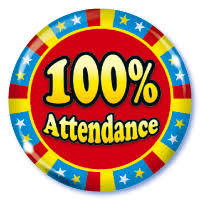 Congratulations to the amazing 39 pupils who had 100% attendance for the whole of the Autumn term! These children came to school every day from the first day of term in September to the last day of term in December. Well done to the 87 pupils who had 100% attendance in November! Fantastic attendance! Keep coming to school every day in December. Well done to the 84 pupils who had 100% attendance in October! Brilliant attendance! Keep coming to school every day. 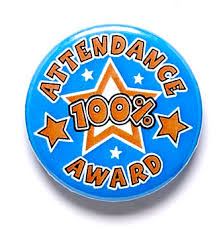 Well done to the 108 pupils who had 100% attendance in September! A fantastic start to the new school year! 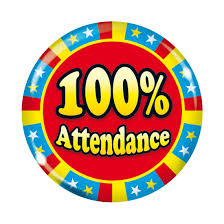 Let's see if even more pupils can achieve 100% attendance in October.